I must say, purchasing stuff over the Internet is something I rarely do whenever I’m online. I’d usually be checking my emails or stalking random people on Facebook. 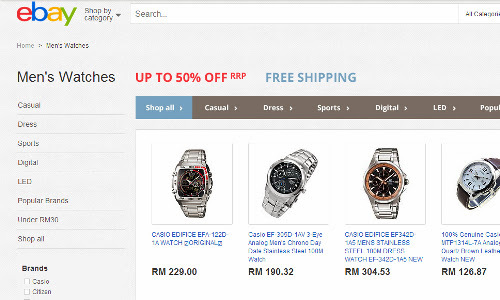 Anyway, I was browsing through eBay recently and navigated myself to the men’s watches section. Personally, I like watches. In fact, some men take pride in the watch strapped around their wrist. In case you don’t know, it somehow signifies the personality and characteristics of the man. Infantry. 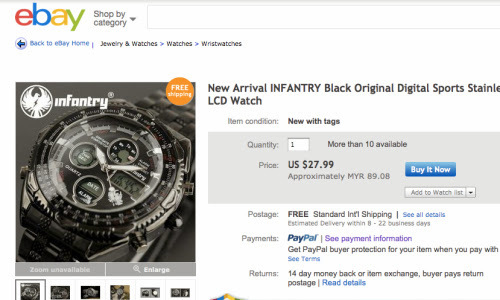 An Infantry Black Original Digital Sports, to be exact. It costs $27.99, which is about RM90. It may not be a well-known watch, but the design is quite cool. So after considering for a while, I decided to do it – to make my first ever online purchase! To be honest, I was afraid that it wouldn’t reach my doorsteps because it could have been missed out by the vendor. But apparently, I was proved otherwise. 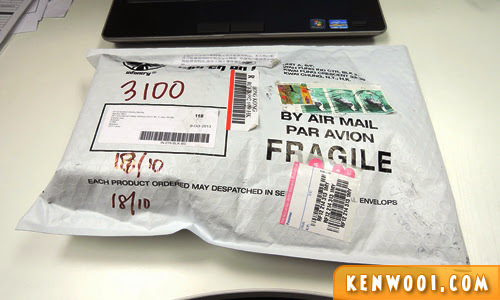 So I opened the parcel and there it is – the watch that I’ve been waiting for! 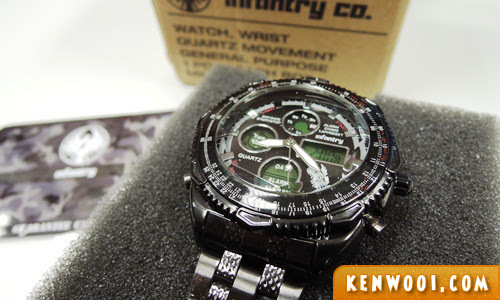 The box consists of a guarantee card and the watch. 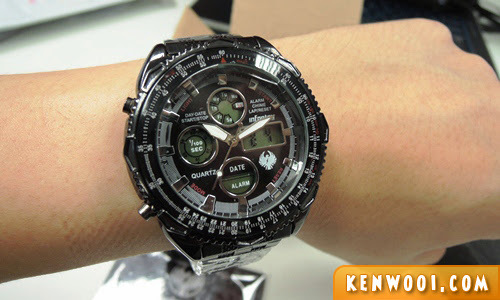 Just look at the design of the watch, pretty cool right! Alright, I’m gonna explore it now, especially the buttons! Well, fits perfectly well on my wrist! By the way, check out eBay for more interesting stuffs! Nice watch and the anticipation of items getting delivered sometimes scares me. I love watches too! and yours here looks very masculine :D..